The Australian Federal Police has begun inquiries into a small number of alleged foreign agents just days after new laws were passed to crack down on foreign interference. The AFP has commenced preliminary inquiries into suspected individuals believed to be working on behalf of a foreign government and are preparing to test the tough espionage laws that were passed late last month. 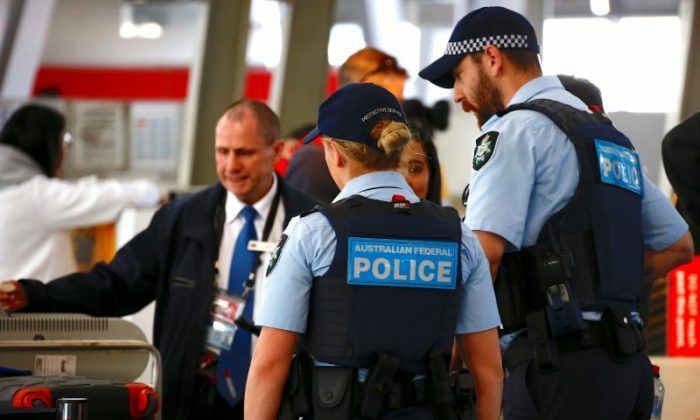 The Australian reported that the federal police have started sending officers overseas to train with law enforcement agencies in other countries who are experienced in investigating foreign interference. Officers will also undertake a number of internal trainings to learn how to prosecute the new crimes. Attorney-General Christian Porter told 9 News that the government was aware of the foreign espionage activities that are going on. “We’ll be watching very, very closely and we expect that there will be, in due course, prosecutions that arise out of this legislation,” he told the news station. Porter confirmed that the Australian Security Intelligence Organisation (ASIO) and the AFP have been preparing for the introduction of the new legislation and expect more investigations to follow. “We don’t believe that going forward we will find a shortage of targets,” he added. New counter-intelligence legislations targeting foreign interference received royal assent on June 29. The Foreign Influence Transparency Scheme broadens the definition of espionage and requires people working for foreign countries to register as foreign agents. These agents could face criminal prosecution if they are independently deemed to be meddling in Canberra’s affairs. In December 2017, Prime Minister Malcolm Turnbull insisted that the new laws were required to combat the “rapidly escalating” threat of foreign interference. He referred to “disturbing reports about Chinese influence” as justification for the bill. “Media reports have suggested that the Chinese Communist Party (CCP) has been working to covertly interfere with our media, our universities, and even the decisions of elected representatives right here in this building,” he said in Parliament at the time. “We take these reports very seriously. The new laws were also introduced following repeated warnings issued by ASIO Director-General Duncan Lewis who raised the alarm that foreign interference against Australia was occurring “at [an] unprecedented scale,” according to Fairfax. “Espionage, interference, sabotage, and malicious insider activities can inflict catastrophic harm on our country’s interests,” Lewis said in May this year. “It undermines potentially our sovereignty, our security, and our prosperity. Porter said the new laws are critical tools for national security agencies to use to counter the growing and ever-changing threats faced by Australia and other countries. “We have heard time and time again from our most senior national security leaders that we live in a time of unprecedented foreign intelligence activity against Australia with more foreign agents, from more foreign powers, using more tradecraft to engage in espionage and foreign interference than at any time since the Cold War,” the attorney-general said in a statement on June 28. Another law banning foreign political donations has yet to be introduced in the lower house. The attorney-general said he will be meeting with counterparts in London and Washington to seek advice on the best way to prosecute individuals involved in foreign interference, reported The Australian. Porter will also talk about how to best design the foreign agents register and ensure that compliance is simple. “We want to make it as simple and streamlined as possible,’’ Porter told the newspaper. On top of the inquiries, the federal government has taken on a number of other measures to combat foreign interference. Australia is preparing to ban Huawei Technologies Co., Ltd. from supplying equipment for its planned 5G broadband network after concerns that the ruling CCP could force the Chinese telco to hand over sensitive data were raised by intelligence agencies, according to sources. Pacific nations Papua New Guinea and the Solomon Islands have also signed on to a joint undersea internet cable project, funded mostly by Australia. The July 11 pact will prevent Huawei from laying the equipment, limiting the risk of espionage due to control of the infrastructure.